About Us - Alliance Structural Product Sales Corp.
Alliance Structural Product Sales Corp. offers an innovative and proprietary structural, seismic and interlocking universal steel bracing system for both dimensional and engineered I-joist construction. We use a proprietary method of manufacturing and distribution producing your order locally. This allows us to provide fast delivery of small to large orders. Alliance Structural Product Sales Corp. was founded in British Columbia and is proud to provide products across the country making our homes and buildings safer. Traditional wood bracing solutions have been adopted into most building codes in North America for construction using dimensional joists. 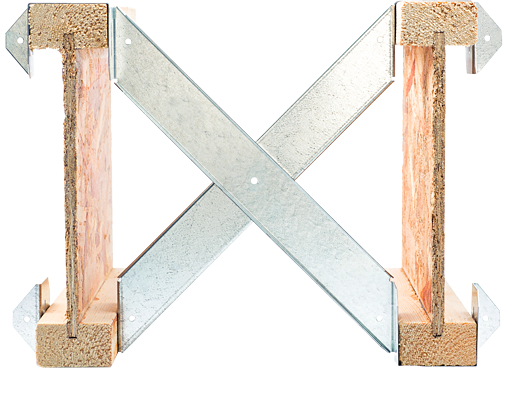 However, a viable solution for cross bridging engineered I-joists had not been developed. Wood cross bridging and blocking are time consuming, difficult to install and offer limited structural benefits. It was clearly evident that there was both a need and a large market for a better quality bracing solution. Our homes and buildings are put through the daily wear and tear of family living and undergo stress from environmental factors such as wind, rain, snow, extreme storms and earthquakes. Our products aim to make homes, schools, buildings and outdoor living spaces stronger, safer and last longer. When you build with wood, strengthen with Structure Lock.